Retailers have been hiring part-timers and temps for the longest time, but that can no longer continue in today’s context for a number of reasons. The perennial manpower crunch aside, that hiring model has been met with operational issues caused by unpopular shifts, sudden absenteeism, and fast turnover. As retailers go digital with online marketing and sales touchpoints, frontline retail employees are now also expected to deliver beyond their traditional roles. Seeing this trend in Singapore, Japan’s leading fashion retail consultancy World Mode Holdings Group came to our shores with the launch of iDA Singapore (iDA’SG) in September 2018. They aim to elevate the local retail industry, change perceptions of retail jobs for the better, and successfully place 60 qualified retail professionals by end of 2019. “If you think about it, retail requires so many skills – product knowledge, visual merchandising, relationship building and marketing. 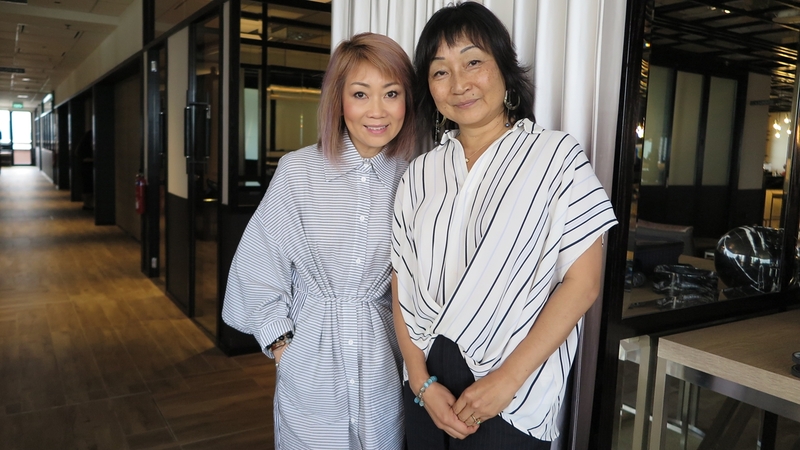 Many companies now sell their brand stories and position their staff as ambassadors or client advisors, not salespeople,” said iDA’SG Managing Director Izumi Matsumoto (pictured right). iDA’SG Director Angeline Yap (pictured left) shared that factual information such as prices and catalogues can be accessed on devices. Automation and robotics are now also helping with stock-taking and inventory replenishment. What’s irreplaceable, however, is the human touch. More so now than ever, service staff in retail are being challenged to upskill and bring more value-add to the customers. iDA’SG, whose clients include Club 21 and iRoo, is offering one-stop solutions such as customised training, recruitment, career coaching and in-store service assessments. Their workshops include a popular programme in Japan “The Art of Eye Contact” that teaches employees how to recognise a customer’s intentions by reading their eyes. “Retail has to align itself to other industries such as hospitality. Look at some hotels that walk through the entire customer journey and offer concierge services from flight booking and limousine airport transfers, to retail and dining within the premises. Connecting the dots in a person’s lifestyle is important and is possibly a new role for retail staff in the future,” added Izumi. To attract more to build a full-time career in the retail industry, Angeline and Izumi encourage bosses and human resource managers to communicate clear career advancement tracks to potential candidates and new hires. iDA’SG is also planning to launch several technological solutions that can help retail staff in their jobs. For example, beacons can track the movements of customers within the shop or mall through GPS and Wifi, giving insights into their likes and dislikes. Data analytics can support by recommending where are the hot zones for product placement and how to tailor push notifications to different audiences. Additionally, Customer Relationship Management platforms can help to record customer particulars, history, preferences, enquiry logs and more. Next post Considering a Career in Sustainability?